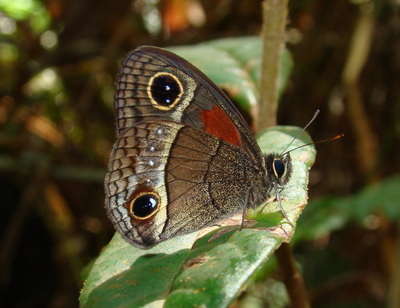 Description and Similar Species: Wingspan 40-52mm. C. brochei has four white post-median white spots (the inner one small) whereas C. occulta has three. C. herophile is smaller on average and has a paler background colour. 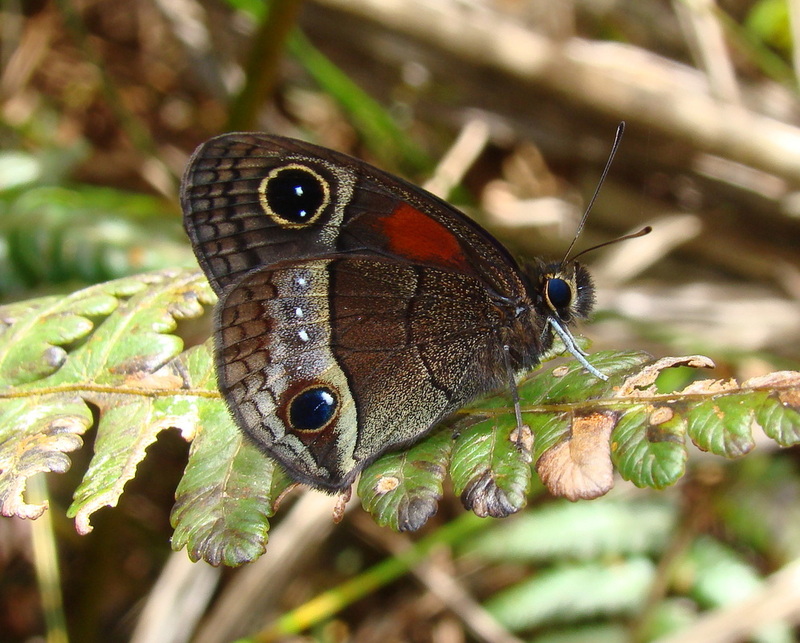 C. bruneri has the hindwing ocellus rather small and pear-shaped with just two post-median white spots on the hindwing. The existence of hybrids between C. brochei and C. occulta could not be ruled by the limited DNA sequencing that has been done to date. Status: Known from widespread localities in the Nipe-Sagua-Baracoa mountain range in the east of Cuba and reaches as far west as Pinares de Mayari. It flies with C. herophile, C. bruneri and C. israeli and C. occulta. It is found flying on shady forest paths between 200-800m. Above information summarised from the ZooKeys paper Cuban Calisto (Lepidoptera, Nymphalidae, Satyrinae), a review based on morphological and DNA data (Núñez et al, 2012).